The German Type II submarines were the first new designs completed for coastal service in the North Sea and the Baltic after the end of the First World War. The Type IIs had powerful engines, were very manoeuvrable and could dive within 25 seconds. After only four months in production a submarine was launched. 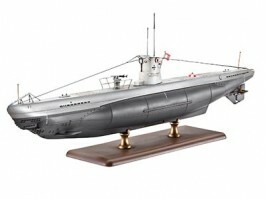 By the end of 1936 the German submarine forces had over 24 available. Referred to as the "canoe" due to the proverbial cramped conditions on board, some of the total of 50 submarines made were still in service in the Black Sea at the beginning of 1944. The German Navy training flotillas used this type until the war ended in 1945.